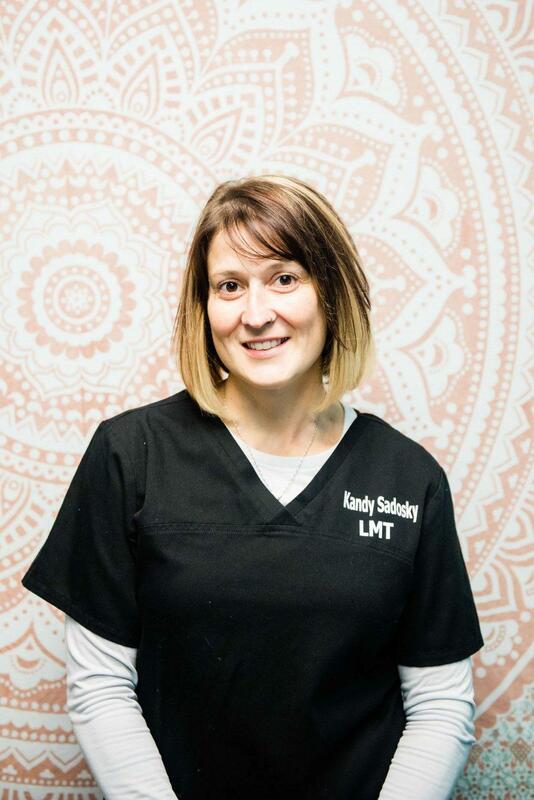 Kandy Sadosky, LMT has been a licensed massage therapist since 2012. A transplant to Arkansas, she was born and raised in Anchorage, Alaska. Kandy attained her initial education in massage from Touching America School of Massage in Maumelle, AR. Since then she has also added several courses in her continued education process of massage therapy. Having experience in both a salon as well as a physical therapy office, she very much prefers the clinical setting appose to spa type services. Previous clients include people from all ages, walks of life, and physical/athletic ability. Many seek massage due to stress and/or relaxation. However, with growing needs of clients such as those with fibromyalgia, pre-natal needs, migraines, or even soreness from intense athletics, Kandy is happy to customize each massage to the specific needs of the individual client at each session. Though Alaska will always be home, Kandy, along with her husband and daughter, has enjoyed all that Arkansas has to offer since moving here in 2010. Aside from massage Kandy’s main interests include, doing anything outside during a hot Arkansas summer and spending time with friends and family. She is most proud of the opportunity that she has had the last few years to be a youth sponsor for THE POINT Student Ministries, the youth group of Changepoint Church in Cabot. Kandy is very excited to be working within Next Generation PT to be able to incorporate massage therapy into your health and wellness regimen.